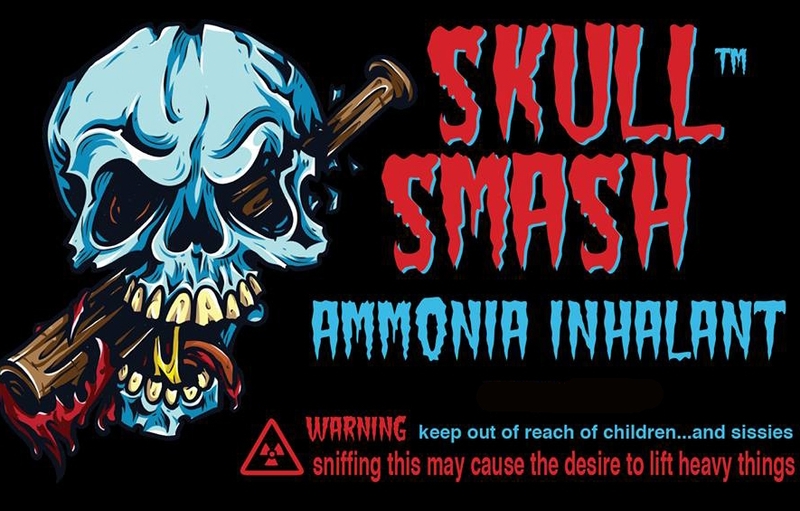 Our new Skull Smash Ammonia Inhalants are what you all have been waiting for!! The owner is a US Marine Corps Veteran , 18 year Strength & Conditioning Coach, Long-time Powerlifter, and Gym Owner! Why is that important? Because that means he knew what we wanted!! The Baddest Ammonia Inhalant on the Planet!! This product will fire you up to hit PRs all day long!! This is the only Ammonia that is UG Approved! Note: The product comes in a multi use bottle. So Sniff it, Go Lift It and Dominate the Weights.